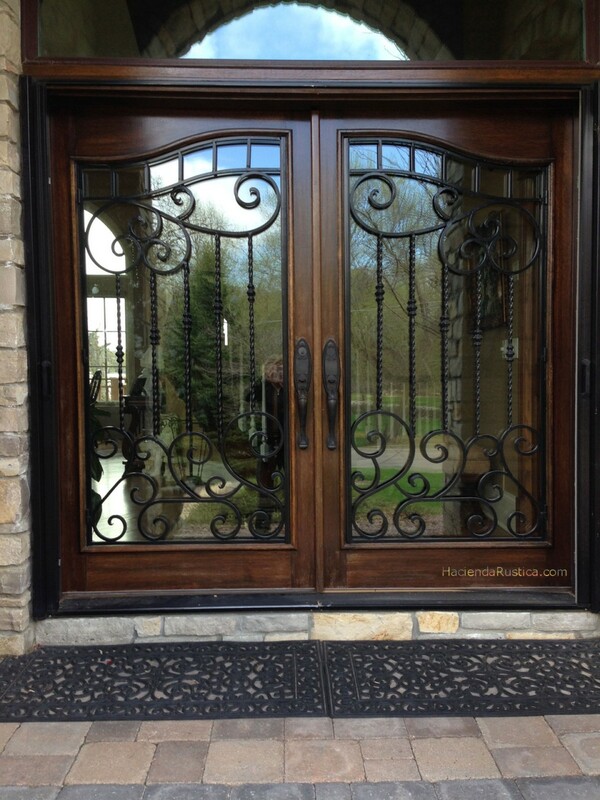 beautifully hand made doors full of style and character, made in natural woods, reliable security. An impression of beauty and strength. 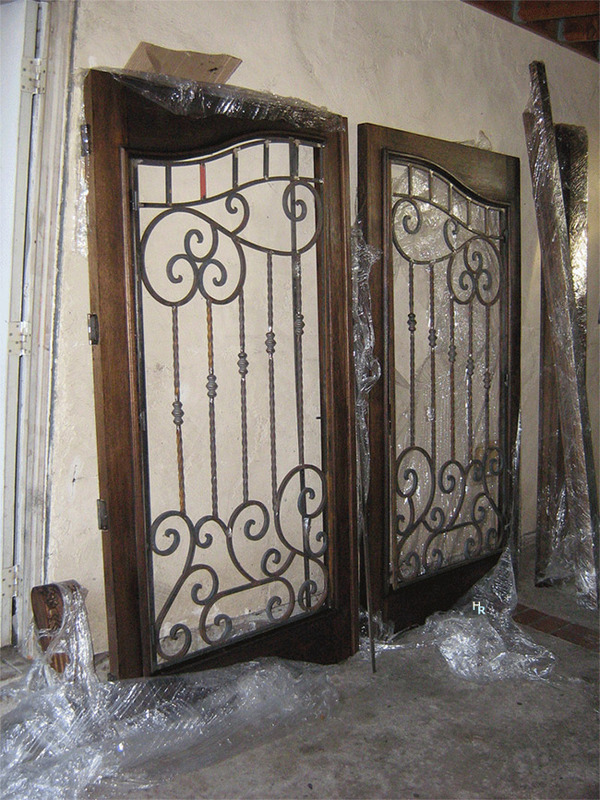 We schedule all of our Doors for production upon order request. 4-12 weeks from 50% deposit date. All pieces of your door (s) will be made from the same batch of wood, finished, textured at the same time, for better quality and color consistency, choice of stains, paints, see samples. polished modern, textured vintage or antique reproductions, request samples. Our finishing is our strenght. We don’t sell pre-fab doors stored in containers for months or years, progress pictures posted on your custom online page. We do not use wood from Michoacan, Chihuahua, Durango etc. We do not sell mesquite furniture we support efforts by every State in Mexico protecting this species. We use only U.S. kiln dried Sugar Pine and other species only from approved sustainable sources. Door lite, frame, interior /exterior moldings, all made specifically for owner. If spex come from Designer/Architect a trade courtesy discount applies. U.S. Kiln dried Sugar pine or beautiful Alder wood exclusively by Weyerhaeuser, our 2 top best sellers. Also available: Maple, Walnut, Mahogany, Cherry it is your budget or real estate investment your call. 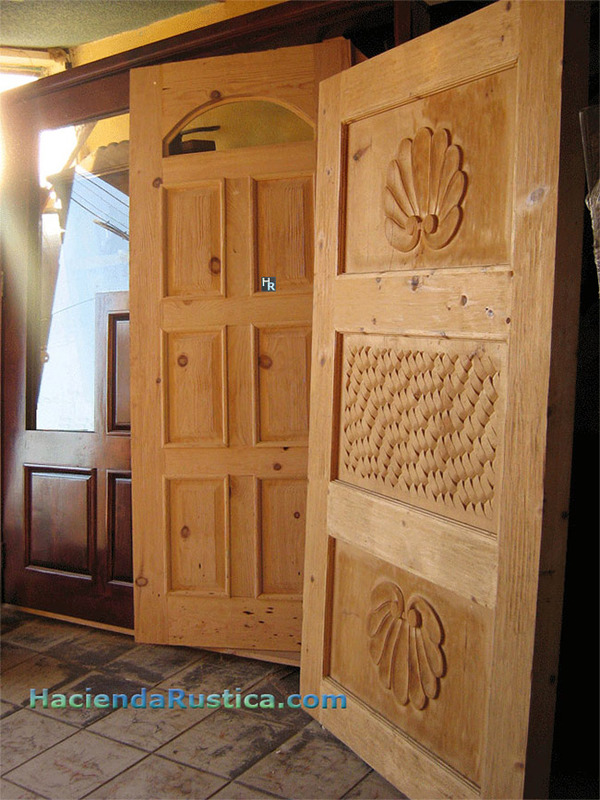 see our custom Mexican Hacienda Vanities page under construction. Natural Sustainable Wood Suppliers only. 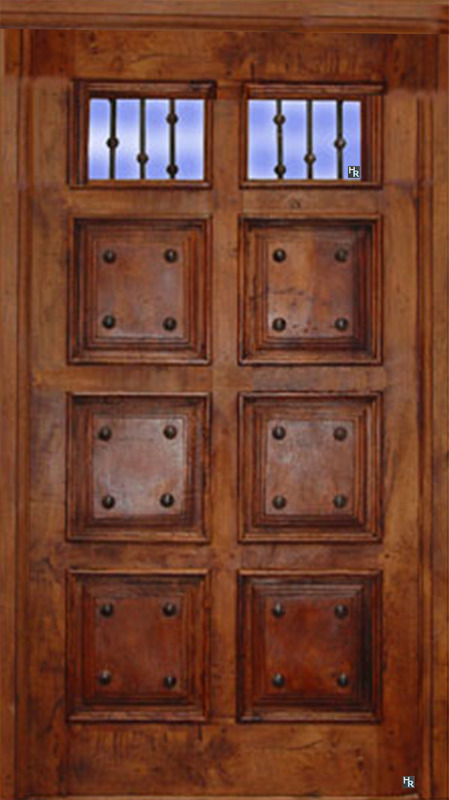 Our Standard Exterior Doors are 2″ (8/4) thick and planed down to your needs. 3″ or 4″ thicknesses available per request. or design for lead glass on the arched window. We only need an image. see sample. 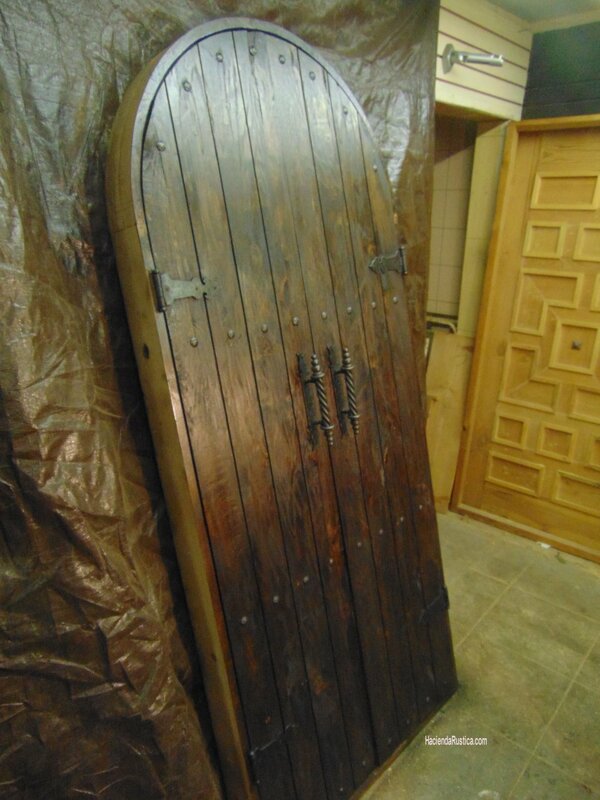 Customers have requested this door as a table top, want to see more? 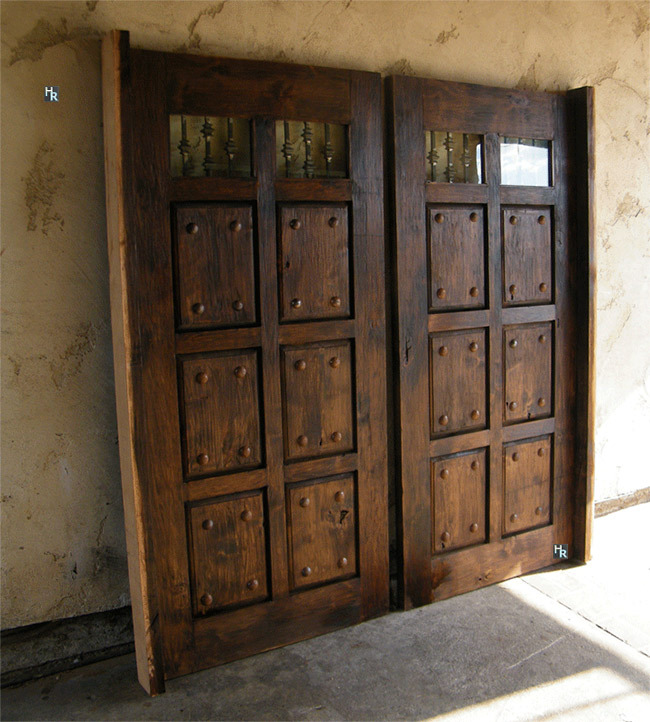 Hacienda Rustica provides a unique, tailor-made breed of furniture and door design that is practical and affordable, as well as attractive, durable and life-spanning. 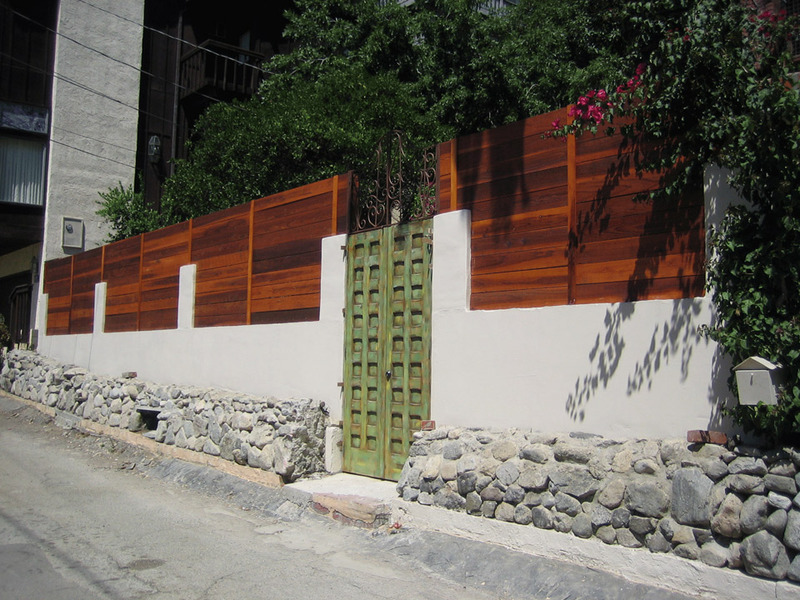 Perfect for Mexican, Spanish, Mediterranean Architecture homes, Villas, Cabins, Vacation homes. “security” most under looked detail in considering replacing your front door, free quotes. Ask for a free quote, see over 50 styles of our doors. 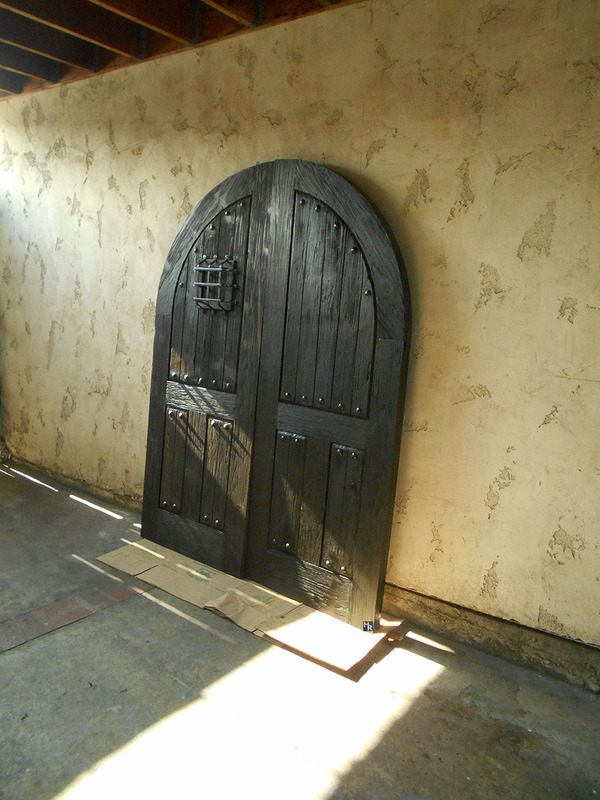 Ask for "before and after" pictures of front doors.